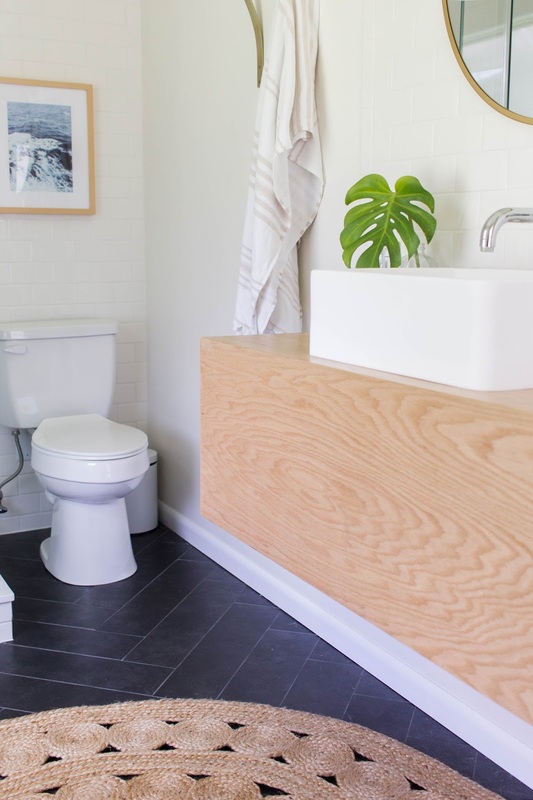 If I had to describe our home's style, or what I aim for when decorating my home, I would say it is laid-back casual. Nothing is too perfect around here, and I hope guests kick off their shoes and feel comfortable enough to snuggle up on our big couch. I decorate around the goal of having a peaceful home that invites others to relax and feel peaceful in. 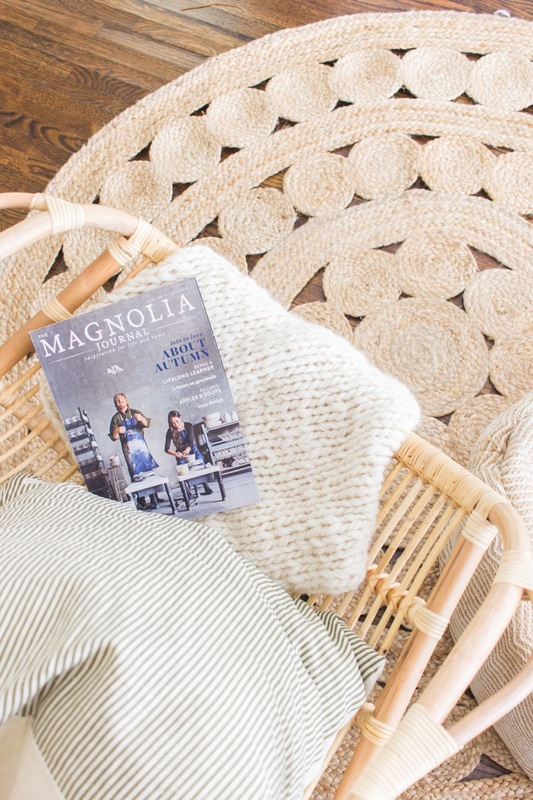 If you've followed my blog for any amount of time, I know you're well aware of my affinity for rugs. I strongly believe rugs pull spaces together and instantly add an amount of coziness you can't get through any other piece of decor. One type of rug I think everyone should have is a jute rug. 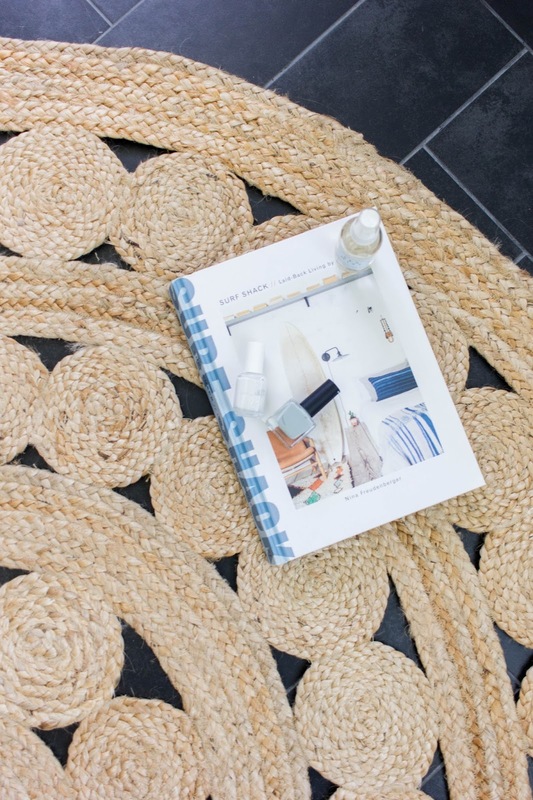 The jute rug extends across so many different styles and can fit in any home. We have a jute rug in our kitchen since it is a high traffic area and now, we have one in our bathroom! 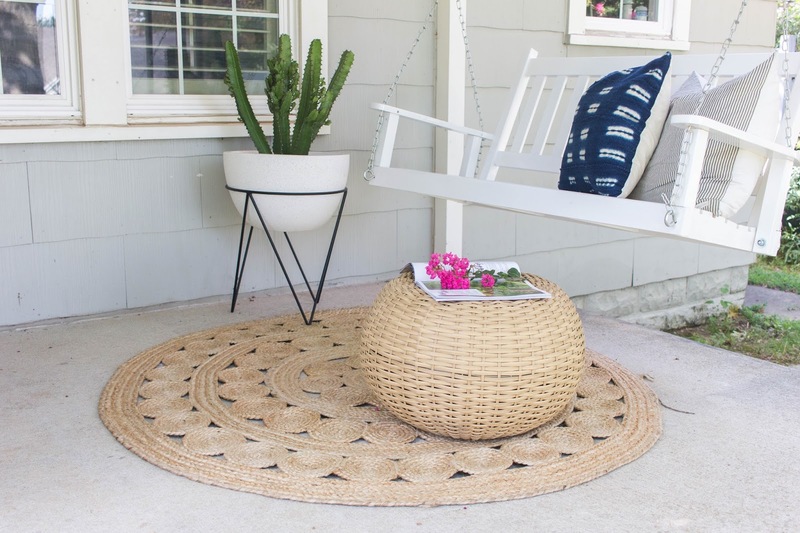 When I received this dreamy round jute rug from Serena and Lily, I tried it in a few different places around our house and it looked perfect everywhere I placed it! 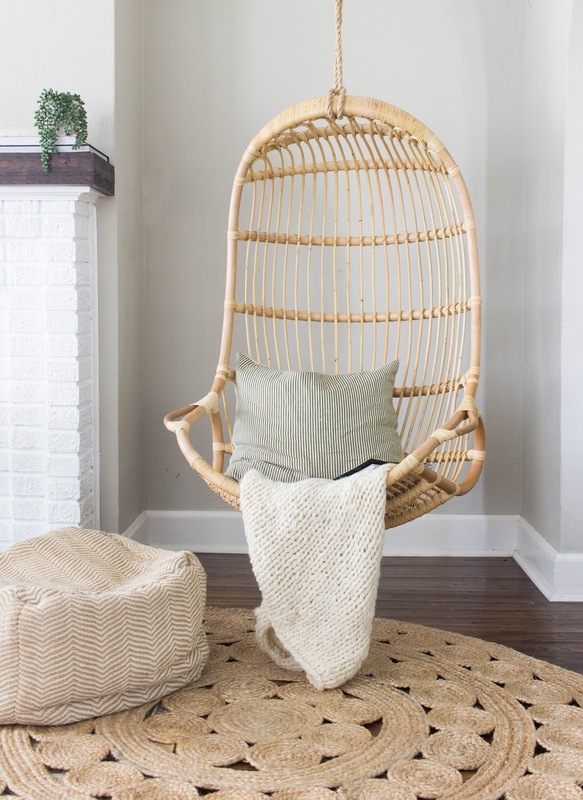 I love how the braided jute is the epitome of casual living...just what I look for in home decor. First, I styled it in the bathroom which is where I decided it will live! Next, I styled it under our new hanging chair that I've been eyeing for years. 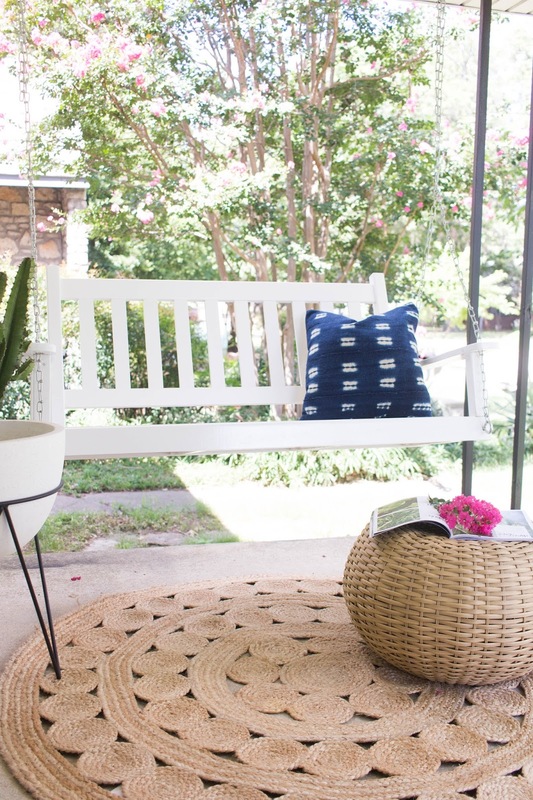 Finally, I styled it on the porch. 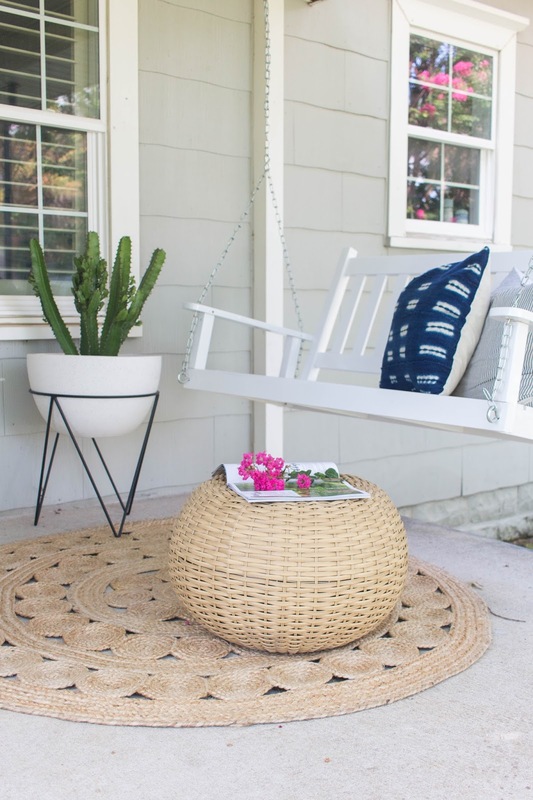 I love how versatile jute is and how it can live outdoors as well as in. 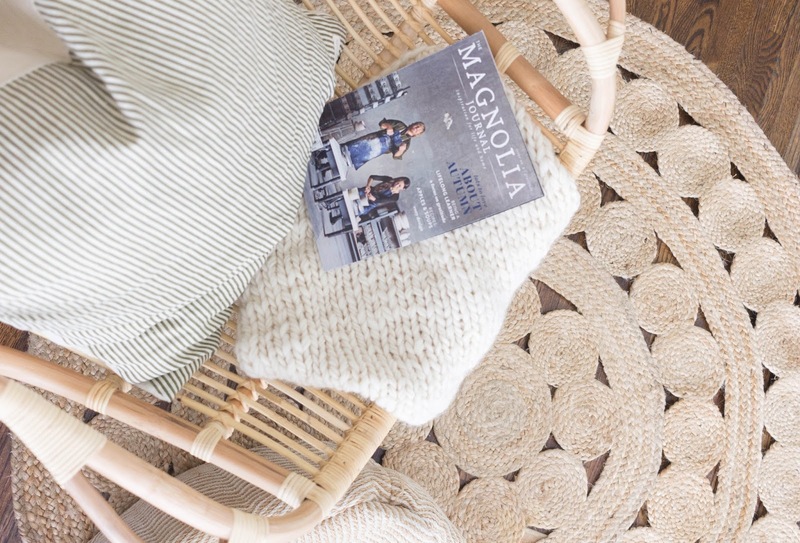 I have a feeling this rug will be rotating around our house from now on ;) Serena and Lily has so many options for jute rugs to match any style. Good news for you, Serena and Lily is offering 15% percent off for Always Rooney readers for one week only! Just use code RUGLOVE-AR at checkout. 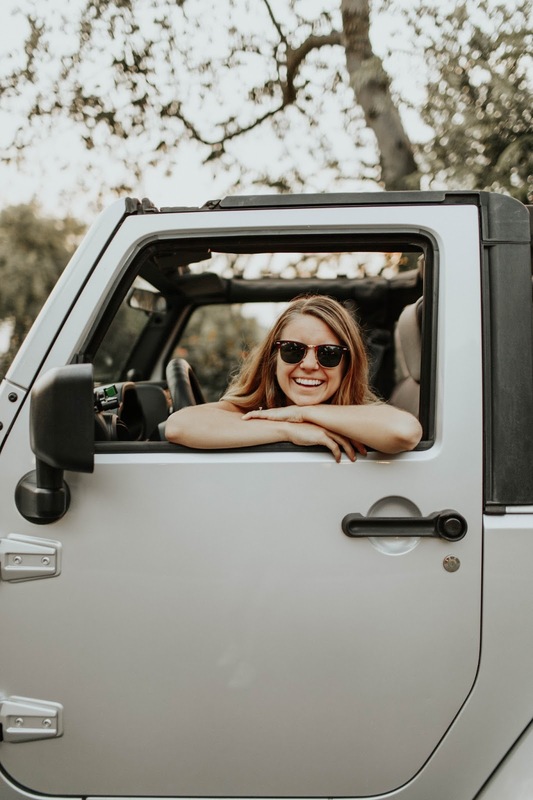 This post is brought to you by Serena & Lily, a company I personally love to shop at for our home.